Enjoy water and mountain views from this fabulous 4 bdrm family home in Prime Point Grey! Move right in or build your dream home on this large 49.5' x 122' lot, 4 blks to Lord Byng. 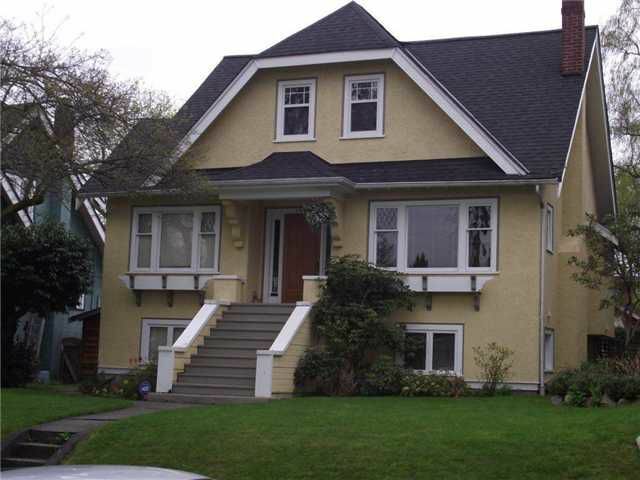 Close to the best schools, UBC, shopping andtransportation. This lovely home features 2 bdrms up, 1 bdrm plus living, dining and kitchen on the main and 1 bdrm, rec room and office below (can easily be converted to a suite). Kitchen opens to a great BBQ deck and sunny, fenced backyard. Roof replaced in 2009. Great street appeal!